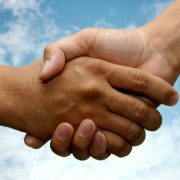 Not every business needs to borrow money, but every business needs a strong depository relationship. The business account opportunity is one that is frequently overlooked by credit unions in favor of a focus on business loans, particularly CRE lending. In order for your credit union to move up the pyramid and capture a larger piece of the small business market pie, you must first shore up the product line to fit the needs of more sophisticated small businesses. For example, according to a 2013 study by Raddon Financial Group, the majority of businesses with over $5 million in annual sales utilize services like a money market account and merchant services. Other popular services include: remote deposit capture, ACH origination, commercial insurance, and sweep accounts for cash management purposes. To drill down further, basic consumer-type depository services that most credit unions offer to micro-businesses, such as a business checking account, a savings account, consumer online banking and bill pay platforms, and perhaps merchant Visa/Mastercard services, are not sufficient to be a player with more sophisticated businesses – those that keep six-figure deposit balances and generate significant fee income. In order to reach this market, your credit union needs to offer a “next level” business deposits package, one that includes services such as: analyzed business checking, advanced-feature business online banking, remote deposit capture, and ACH origination capabilities. Online banking typically serves as the core, central point for businesses to manage the cash inflows and outflows of their accounts. Do not underestimate the expertise needed to position your credit union as a knowledgeable resource in depository services. You will need to hire a dedicated expert well-versed in the needs of sophisticated small businesses, with a full understanding of the benefits and features of these specialized services. In other words, you will need to hire a Cash Management Officer. Most credit unions intent on growing a strong and vibrant business loan portfolio will hire three to five commercial lending experts. Yet these same organizations won’t hire anyone to manage the deposit side of the equation. This is not a formula for long-term success. By the way, did you know that maintaining your business borrower’s deposit accounts may be the best risk management tool that you have at your disposal? 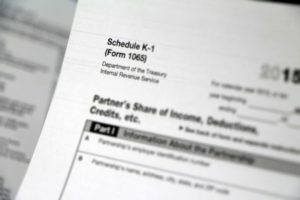 Instead of waiting to receive quarterly financial statements or worse yet – annual tax returns – before analyzing your member’s business conditions and ongoing performance, access to the member’s deposits will allow you to observe changes in cash flow in real time, providing you the tools to address issues quickly, before they become real headaches for you and your member. The future could not be brighter for credit unions in the business lending marketplace. With recent, positive regulatory changes, credit unions’ outstanding reputation for trust and service, and an improving economic outlook, now is the time to take full advantage of this exciting opportunity. 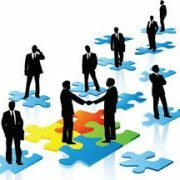 With some planning and a dedicated focus on serving business members’ specialized needs, credit unions can capture the full business relationship and become valued partners with larger, more sophisticated, and profitable member businesses. Small business is growing once again in the U.S. Following the 2008-09 recession, the number of businesses in the U.S. with fewer than 500 employees fell precipitously. 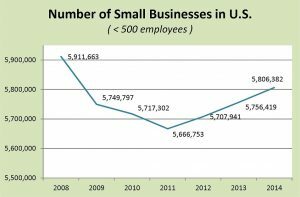 By 2013, small business had once again rebounded to 2009 levels. This spells opportunity for credit unions. Credit unions have long gravitated toward investment real estate as a relatively simple way to do business lending, as the source of repayment on these loans is easy to understand and is generated primarily from rental income. However, lending to operational businesses can add diversity to your loan portfolio. These businesses, such as tire stores, restaurants, or clothing retailers, generate their income by selling goods and services or adding value to the manufacturing process chain. The risks related to investor property income flows generally correlate closely with longer term trends in the local real estate market. Are vacancies going up? Are local population demographics changing? Is population on a rising or declining trend? Can the owners hire adequate staff? Can they sell their product at a profitable margin? Are costs of labor and raw materials rising? Are new competitors moving into the market? The collateral risks between investment real estate and operating entities differ as well. For example, a line of credit secured by inventory and accounts receivable can be fully secured one month, and virtually unsecured the following month. The marketability of inventory is highly dependent on its current state in the process and may become stale or obsolete in a short period of time. Lenders need to liquidate receivables quickly; if you wait too long, they may have already been collected and spent by the borrower. Specialized equipment also has its own challenges as it has a limited market and may deteriorate and depreciate quickly. Debt service coverage: When analyzing an investment property non-owner occupied real estate loan, the focus of the analysis should be on the debt service coverage ratio, which reflects your best chance of being repaid on the loan. As long as the collateral is in good shape and market conditions are favorable, repayment is likely. Borrower leverage is not as important, as long as you have strong collateral coverage. Working capital is almost immaterial, and most of these entities can function just fine with a low-balance checking account. 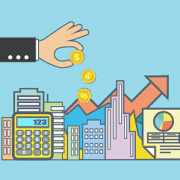 Working capital: For owner-occupied real estate and operating company loans, the analysis of the loan, and your risk rating, should be based on a complete understanding of the operating company as your primary source of repayment. Similarly, the analysis of an operating company line of credit facility should focus mainly on working capital. The purpose of such lines is to help support the company’s working capital needs, and the primary source of repayment will be the turnover of operational assets. For lenders, the bottom line is that the type of borrower and the type of credit facility should drive the analysis and the credit decision. As an organization, you may have expertise in certain types of loans or industries. If that is the case, you should minimize your exposure to those types of borrowers where you have little expertise, or consider outsourcing that analysis to a service provider with experience in that particular field. One way to tackle the sophisticated small business market is to even the playing field with commercial banks by offering a richer portfolio of business loan products. According to a 2013 Raddon Financial Group study, the majority of small businesses with annual sales of $5 million and over are active users of credit cards. Many also take advantage of lines of credit, vehicle and equipment loans and leases, as well as commercial real estate and Small Business Administration (SBA) loans. If your credit union doesn’t offer these common products, you have little hope of gaining traction with the top end of the small business market. 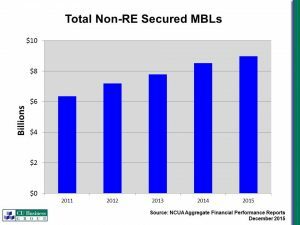 Yet most credit unions focus primarily on commercial real estate. In fact, 84% of all member business loan balances are real-estate secured, leaving only 16% for commercial & industrial, credit cards, vehicle and equipment loans, and the like. Credit unions are leaving a huge opportunity on the table. Commercial & industrial lending: Following the Great Recession, most banks backed away from lending to small businesses, leaving many of these companies strapped for capital, particularly in the $50,000 to $250,000 loan range. This is a natural market for credit unions, and one they can serve very well. SBA and government-guaranteed loan programs: There are a number of advantages to using SBA-guaranteed programs such as the flagship 7a and associated SBAExpress programs. Although a guarantee will never make a bad loan good, it does help to limit credit exposure in the cases of a collateral shortfall, a startup business, or riskier industry sectors. And to top it off, the guaranteed portion of any business loan does not count toward the statutory MBL cap! Targeting specific industries: Many credit unions have found success by narrowing their focus to just a couple of industry segments. For instance, you may consider creating a special package of business loan and deposit services for the veterinarian market, or one specifically designed for medical practitioners. 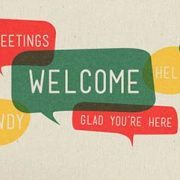 By doing this, you will establish your credit union as the “expert” in that industry, and over time become recognized through word of mouth referrals as the go-to resource—a lender that understands your target market’s unique needs. One of the biggest questions surrounding business lines of credit is in determining how large of a line of credit should be offered to the member. The correct answer to that question is dependent on the member’s unique circumstances in regard to their sales and credit practices. Consider a business that offers 30 day net terms to its customers, and sells 100% on account. In this scenario, monthly sales will equal the amount of accounts created each month. If the business’ customers pay an average of 30 days from invoice, accounts receivable will remain consistently at a 30 days of sales level. For example, if the business has sales of $1.2 million each year, and it collects all accounts at an average of 30 days, then accounts receivables will remain at an average of $100,000. But the average collection time for most businesses is about 45 days, and as the lender you should not advance much more than 70% against receivables. So in a typical business that sells all on account, a line of no more than 10% of gross sales is recommended (Ex. 1). Now consider a retail business, in which half of sales are paid for in cash or credit card payments, and half is paid on account. How large of a line would this business need? The short answer is: half as much. They are now selling $50,000 per month on account, and receivables are running at an average of $75,000. At an advance rate of 70%, an appropriate line would be no more than 10% of annual receivables, or a maximum of $60,000 (Ex. 2). Seasonality is another key decision factor. I once had a client in Alaska that worked only during the summer months, just three months out of the year. In his case, the normal receivables level was one third of his sales! Businesses with significant seasonal fluctuations in sales have a much greater need for a line of credit than those with little or no seasonality. The advantage to you as the lender in this scenario is that at the end of the season, sales go to zero, expenses go to zero, all accounts are collected, and the line is paid off in full. Now, consider a business with no seasonality at all. How would your member pay off the line of credit? The aggregate level of receivables never goes down (a source of cash) nor does it ever increase (a use of cash). In a non-seasonal business, the only way to experience large swings in line of credit usage is with big swings in sales! So, while it is useful to have a cleanup or resting requirement in your loan covenants, you can create automatic covenant violations if the business does not experience large seasonal variations. A better course is to establish a line to fund only the seasonal variation in the accounts. The permanent, fixed portion of those accounts should be funded with capital, i.e. a working capital loan or equity in the business. 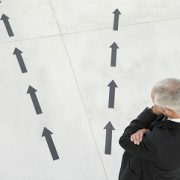 Lines of credit are complex products that require extensive due diligence up front, and regular monitoring going forward. Don’t make the mistake of providing your member with the wrong product for their needs, or “setting and forgetting” the line of credit after closing. This is a disservice to your member, and one that may result in many headaches down the road. According to the 2015 Temkin Trust Ratings, credit unions collectively rank #1 in trust across all industries, ahead of such recognized national brands like Trader Joe’s and Amazon, and well in front of banks. In terms of the business market, credit unions have done a good job of serving “micro-businesses”, those entities with annual sales of under $1 million. Fortunately, this is a large group, made up of over 25 million small businesses in the U.S. This market is easily satisfied with basic financial services, as it typically does not have sophisticated banking needs. But the trade-off is that these really small businesses act much like consumers and thus are not particularly profitable for financial institutions. 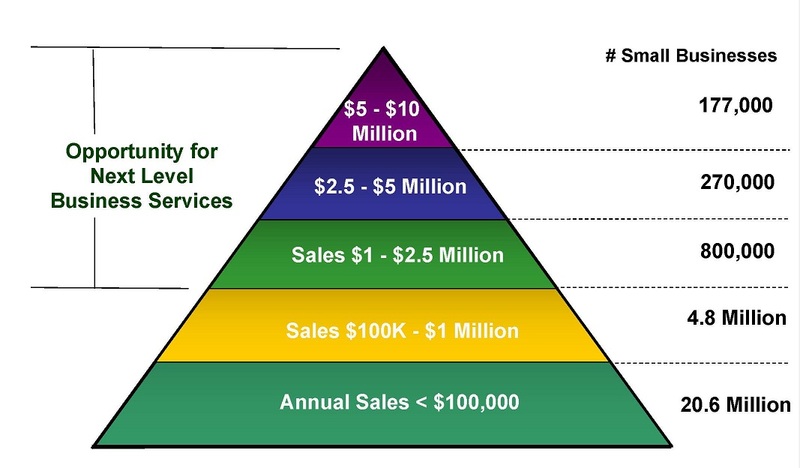 In order for credit unions to truly advance in the business market and gain long-term, profitable relationships, they need to move up the pyramid to businesses of $1 – 10 million in annual sales, a group consisting of another 1.2 million businesses. These organizations have more employees, higher cash flows, keep larger account balances, and have a need for more sophisticated financial services. It is clear that credit unions have a lot of ground to cover in order to reach this next-level business owner, and truly compete with banks in this lucrative market. CUBG recently welcomed one new member and two returning members to the team. 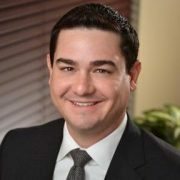 Pat McClatchey joined CUBG as Vice President/Appraisal Services in September. Pat has 40 years of commercial banking experience including experience in branch operations and management as well as commercial loan analysis and underwriting, loan participations, and more. 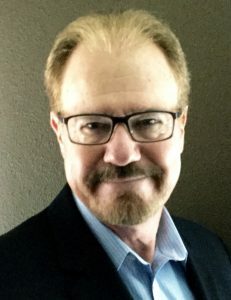 Pat has extensive experience in commercial real estate and previously managed the commercial real estate division and real estate capital markets at Umpqua Bank. In his role at CUBG, Pat will review complex commercial real estate appraisals for credit unions. 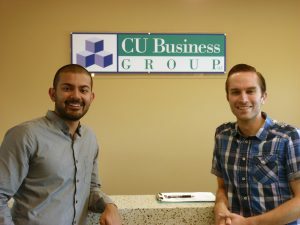 CUBG also welcomes back Arshad Khan and Andre Canessa, who have returned to CUBG after a short time at Umpqua Bank. Arshad rejoins CUBG as a Commercial Loan Underwriter and Andre joins as the lead of CUBG’s team of commercial credit analysts. Each year CUBG participates in staff training and team building on Columbus Day. This year’s Columbus Day team building event featured a unique activity benefiting local children from Big Brothers Big Sisters program. The CUBG staff was divided into six teams, each tasked with completing the assembly of a bicycle for a different child. Once the bikes were assembled, complete with bells and lights, teams wrote handwritten notes and presented the bicycles to their new owners. 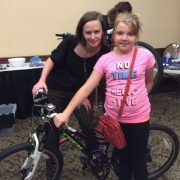 A local bike shop donated the bicycles, along with helmets, bike locks, and tire pumps and was on-site to fit each bicycle perfectly to its new owner. On July 11th, new FinCEN rules clarifying and strengthening customer due diligence requirements went into effect. Credit unions will have until May 11, 2018 to comply with the rules. The new rules contain explicit customer due diligence requirements and include a new requirement to verify the identity of beneficial owners of legal entity customers (i.e. business entity members) with certain exclusions and exceptions. Under the new rules, credit unions will use Customer Identification Program (CIP) procedures, similar to those used for individuals, to identify the beneficial owners of a legal entity. The credit union may rely on copies of the identification documents used to identify the beneficial owner and may rely on information provided by the entity, as long as it has no knowledge of facts that would call into question the reliability of the information. Legal entity customers are defined in the final rules as a corporation, limited liability company, or other entity that is created by the filing of a public document with a Secretary of State or similar office, a general partnership, and any similar entity formed under the laws of a foreign jurisdiction that opens an account. Sole proprietorships and unincorporated associations are not included in the definition, even if those such businesses may file with the Secretary of State in order to, for example, register a trade name or establish a tax account. The final rules also include a list of entities that are not included as legal entity customers under the rules. The exclusions begin on page 17 of the link included in this article. A single individual with significant responsibility to control, manage, or direct a legal entity customer, including an executive officer or senior manager (e.g. a CEO, CFO, COO, Managing Member, General Partner, President, Vice President, or Treasurer) or any other individual who regularly performs similar functions. If a trust owns directly or indirectly, through any contract, arrangement, understanding, relationship or otherwise, 25% or more of the equity interests of a legal entity customer, the beneficial owner(s) for the purpose of the final rules is the trustee. 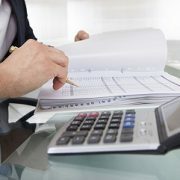 CU Business Group recommends credit unions review their Bank Secrecy Act (BSA) procedures and other procedures related to the opening and monitoring of business accounts to ensure compliance with the new Customer Due Diligence (CDD) rules before May 11, 2018.
Review your current account opening, monitoring, and any related BSA procedures for business accounts. Update the procedures if necessary. Contact your form vendor regarding a Certification of Beneficial Owner(s) or use the form provided in Appendix A of the Customer Due Diligence Requirements at account opening or when significant changes occur. Determine which areas of operations will be affected by the changes and provide training to staff. Inform internal and external auditors of the changes. You can view the final rules on Customer Due Diligence Requirements for Financial Institutions online. If you have questions about FinCEN’s final rules on CDD for legal entity customers, contact CUBG’s deposit team at 866-484-2876, or TreasuryMgmt@cubg.org.